net-a-porter has emailed me to let me know about an awesome contest that you all might be interested in! Keep reading if you want to learn how to WIN TEN ICONIC FASHION PIECES! 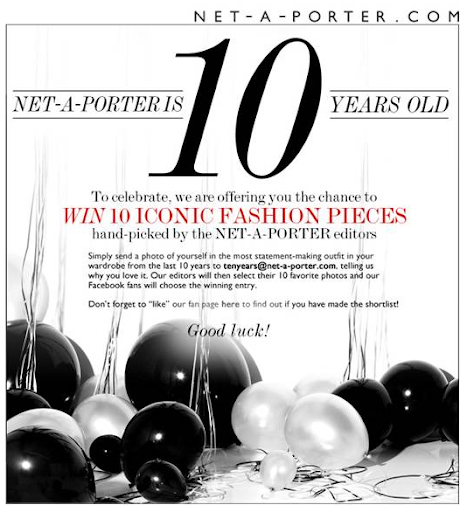 "NET-A-PORTER.COM is 10 years old and to mark the occasion the world's premier online luxury fashion retailer is giving its Facebook fans the chance to win ten iconic pieces for their wardrobe. Handpicked by the NET-A-PORTER editors, items include a classic Burberry trench, a Proenza Schouler ‘PS1’ satchel and a pair of Miu Miu black patent pumps. All fans need to do is send a photo of themselves in the most statement-making outfit in their wardrobe from the last 10 years with a sentence about why they love it. The NET-A-PORTER editors will then select their favourite 10 photos and Facebook fans will choose the winner." oooh this is a great contest...thanks for letting us know! i have no idea what i would submit for the contest! awesome contest..goodluck to all the participants! 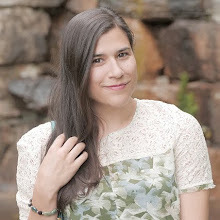 you've got a great blog, keep it up! love love LOVE the pieces that you chose from net-a-porter. 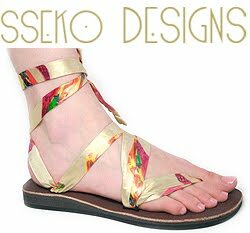 omg i would die if i could own any piece from that site! the satchel bag uuuuh! i love it. Agree in mostly of pieces. Love those black pumps--So gorgeous! 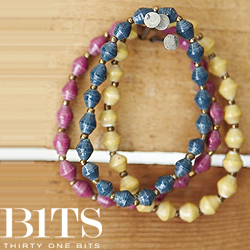 These are ALL drool-worthy pieces! Great picks!! I love the P1 too much it's sick..